Now in paperback, the newest novel from the New York Times bestselling author, in which she turns her gaze on Emperor Nero, one of the most notorious and misunderstood figures in history. Built on the backs of those who fell before it, Julius Caesar's imperial dynasty is only as strong as the next person who seeks to control it. No one is safe from the sting of betrayal: man, woman, or child. While Nero idealizes the artistic and athletic principles of Greece, his very survival rests on his ability to navigate the sea of vipers that is Rome, including his own mother, a cold-blooded woman whose singular goal is to control the empire. But as Agrippina's machinations earn her son a title he is both tempted and terrified to assume, Nero's determination to escape her thrall will shape him into the Emperor he was fated to become. 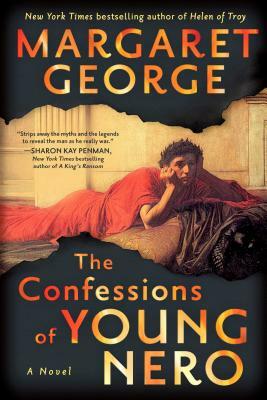 Filled with impeccable research and captivating prose, The Confessions of Young Nero is the story of a boy's ruthless ascension to the throne and the lengths to which man will go in the ultimate quest for power and survival. Margaret George is the New York Times bestselling author of eight novels of biographical historical fiction, including The Splendor Before the Dark; The Confessions of Young Nero; Elizabeth I; Helen of Troy; Mary, Called Magdalene; The Memoirs of Cleopatra; Mary Queen of Scotland and the Isles; and The Autobiography of Henry VIII. She also has coauthored a children's book, Lucille Lost.